Real Madrid star Vinícius Júnior has revealed that he rejected a better financial offer from Barcelona to move to the Santiago Bernabéu in 2018. The 18-year-old completed a £40m move from Flamengo to Real Madrid last year but was also in talks with their Clásico rivals, Barcelona, around the time he was weighing up leaving Brazil's top flight. Vinícius admitted that he received a better financial offer from Barça but that he was talked into the project at Real Madrid by compatriots Marcelo and Casemiro. 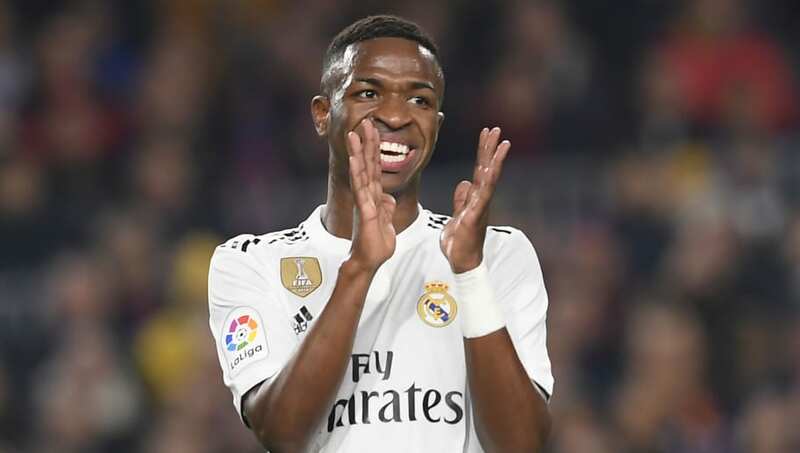 "My father never told me of interest until Barcelona and Real Madrid," Vinícius told Cadena SER (via Goal). "Then we visited both clubs and liked them both. "Barcelona wanted to pay more, but we wanted the best project and Marcelo and Casemiro spoke to me and helped me decide. "Casemiro told me that, when [Zinedine] Zidane spoke, he would get a bit nervous. It is quite different how Zidane speaks compared to Solari. He is a legend, he won everything and he is special. Vinícius is currently on the treatment table after picking up a knock during the club's Champions League exit at the hands of Ajax. The Brazil international has been ruled out of action for up to two months as a result of a ligament tear in his right leg, something which will put the youngster up against the clock to return before the end of the season. Vinícius has featured 28 times for Real Madrid during his maiden season with the club, scoring three goals and claiming 12 assists.